BANGLADESH. Sathkira District. 2010. 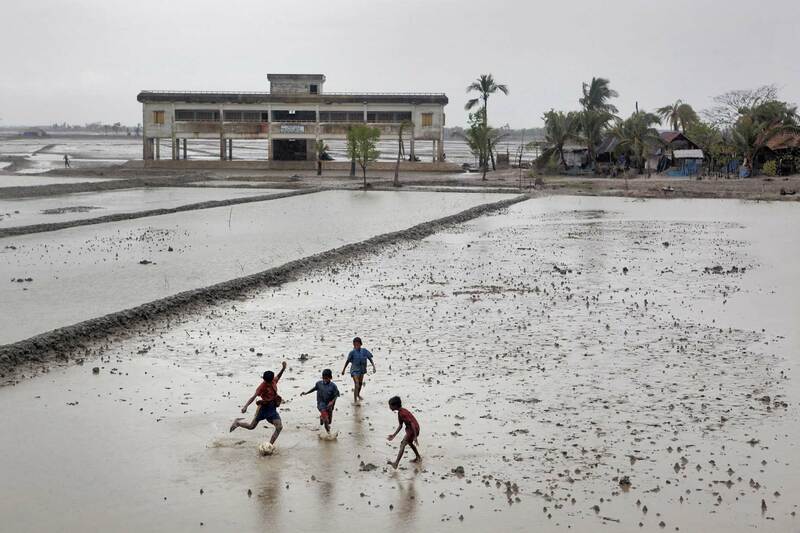 Children play football in a village devasted by cyclone Aila in 2009. The concrete building in the background is one of over one thousand cyclone shelters erected after 1991.